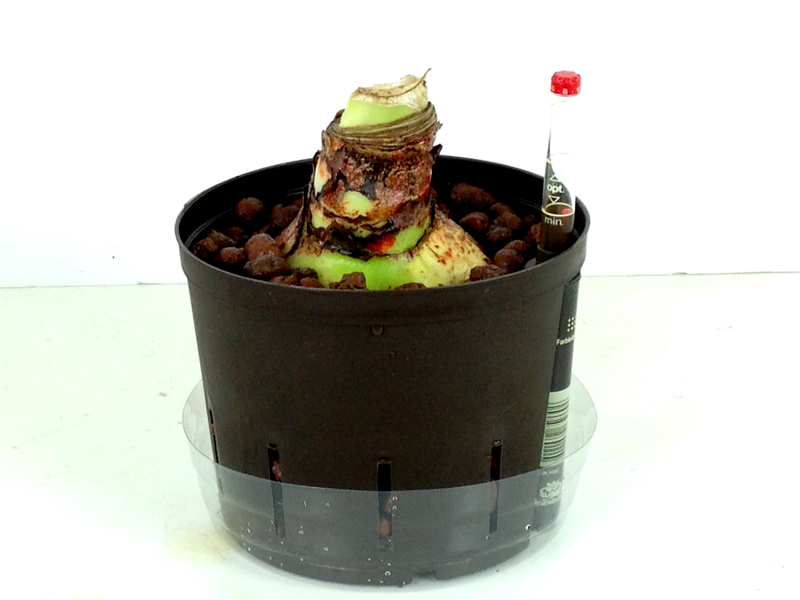 Our Hydroponic System is the trouble-free way to grow stunning displays of Amaryllis. 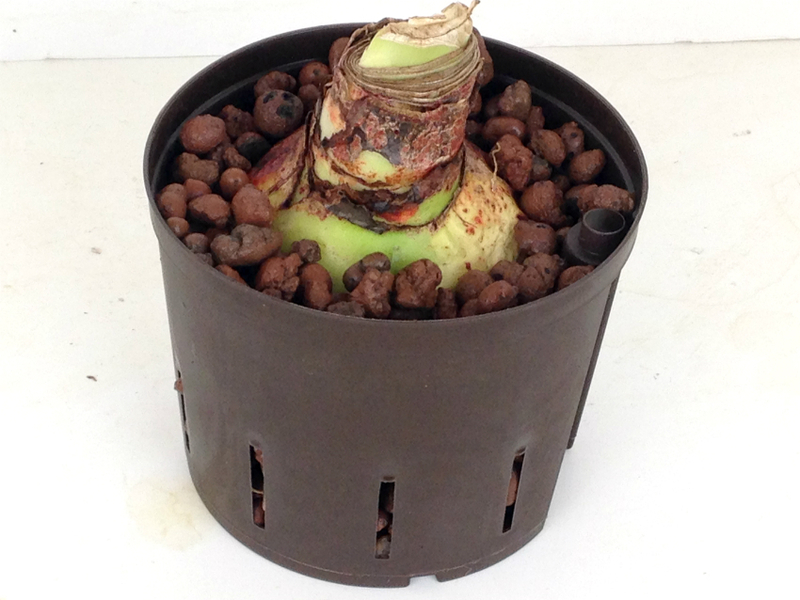 Clean, easy to use LECA pebbles replaces all that messy potting soil and a water gauge makes accurate watering simple (overwatering is the #1 killer of Amaryllis). The results you get depends on the size and condition of the bulb. Select only bulbs that are firm and dry with no mold or decay. Larger bulbs usually produce more stalks with more blooms. 1. 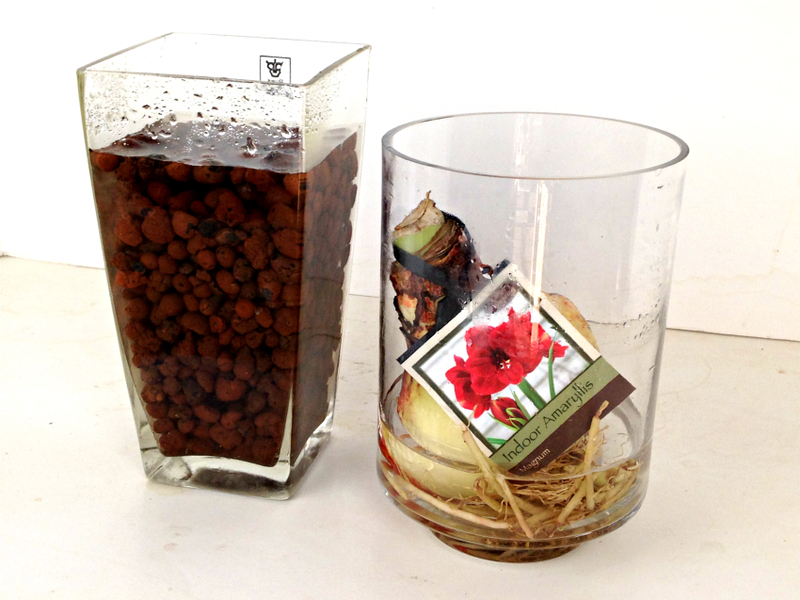 Soak bulb and LECA pebbles in luke warm water for about an hour before planting. 2. Correct pot size is important. 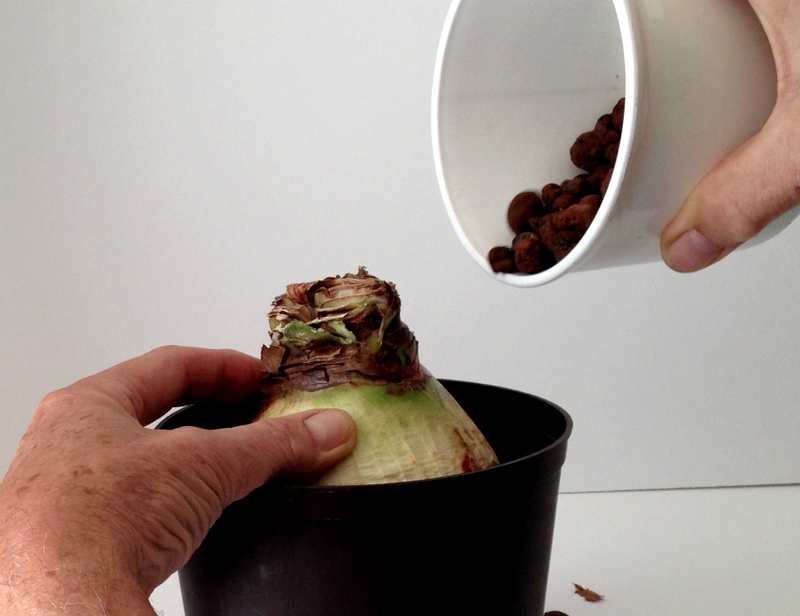 Select a pot size that's only about 1" larger than the bulb. 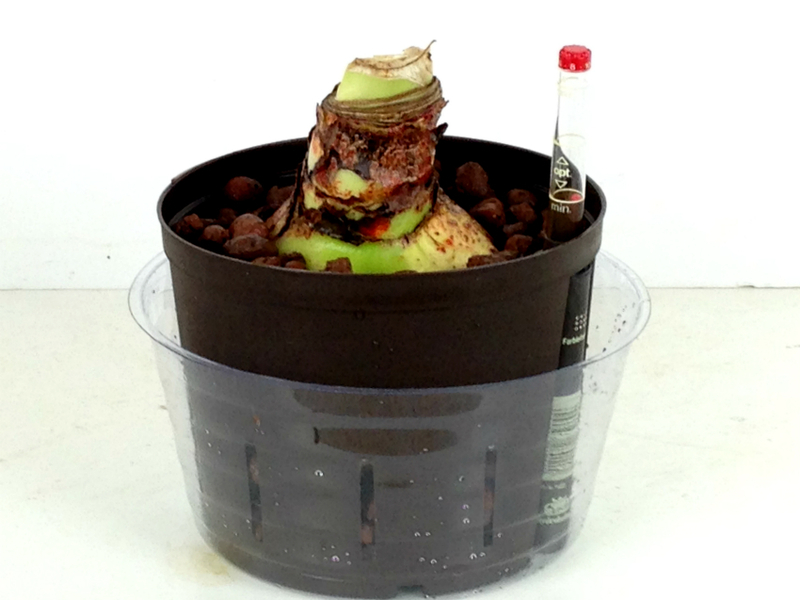 That means 1/2" between culture pot and bulb on all sides. 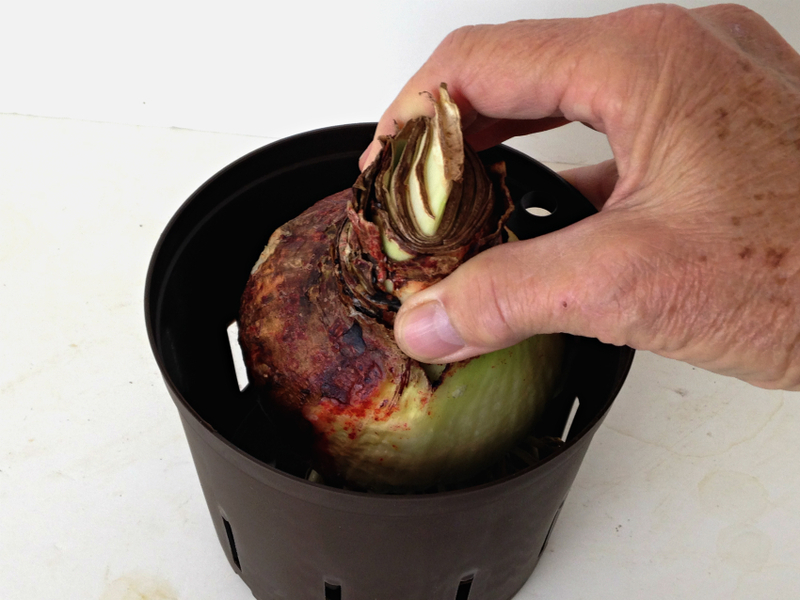 If the grow pot is too big the bulb won't dry out properly between waterings. These plants don't like wet feet and large pots hold too much water. 3. Fill bottom of culture pot with pebbles. 4. Position bulb so only the top of the bulb is showing above pebbles. We plant slightly deeper than planting in soil for better stability. 5. Fill pot with pebbles. Tap down for stability. 7. 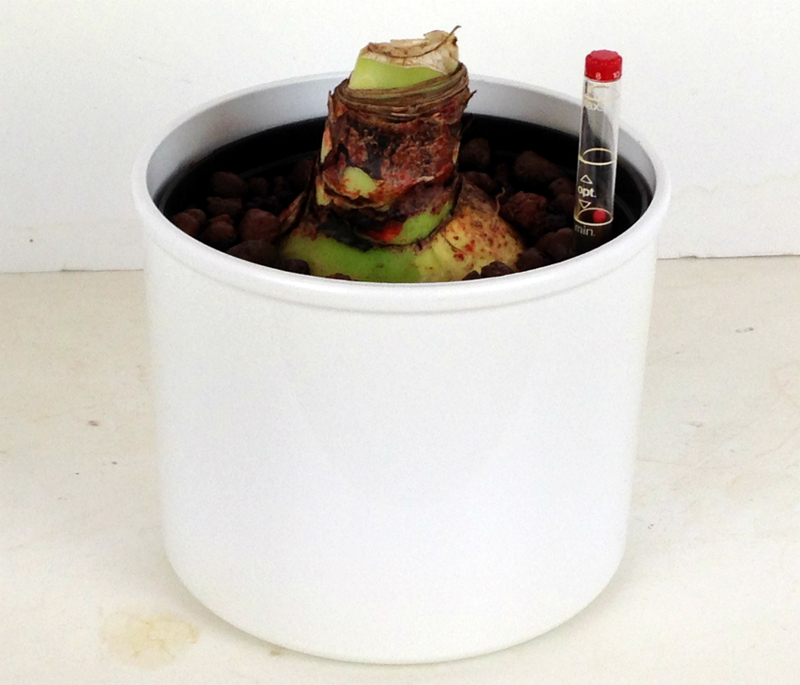 Insert water gauge and place culture pot into outer pot. Do you have favorite containers for holiday plants? Our hydroponic system will work with any decorative container. 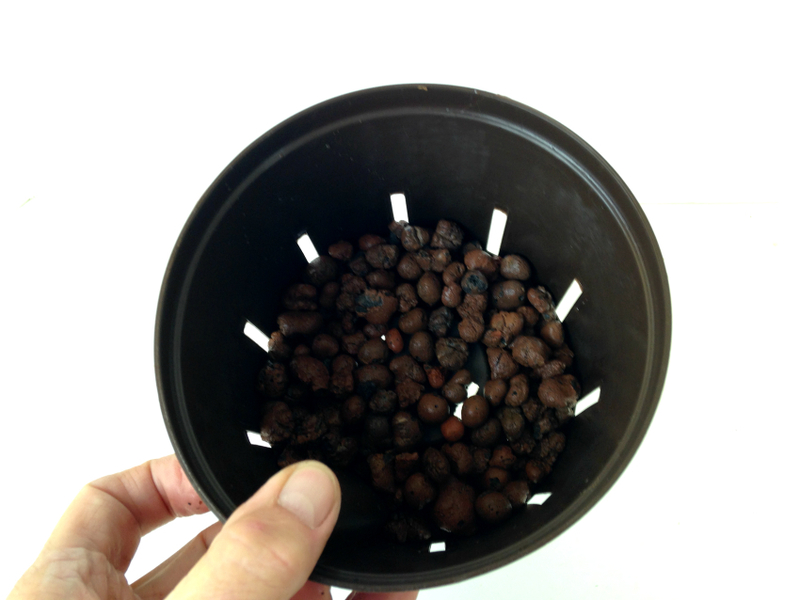 Simply replace the outer pot with a plastic saucer and insert new setup into your decorative pot. The plastic saucer is the new reservoir for the hydroponic system. Plastic saucers have a slimmer profile than outer pots and fit into a decorative pots better. 1. Replace outer pot with clear plastic saucer. 2. You can even trim saucer to a lower profile for a sliimer fit. 3. Insert new setup into decorative pot. 4. For a more finished look add moss to top of planter.